Great if like me you spend a lot of time on the computer. I just plug this in and vape all day. I also plug into my car. Very good at a great price. Once plugged into my laptop - I can literally vape all day and then when on my long commute home I can plug into my car. This is a great product that really does work very well. The attached power line is like a telephone cord and will stretch and recoil tominimise space. Batteries fine when out and about but this is ideal when doing some work on my laptop. Super idea! I already have one that is perfect, but this one is just dead, no way to get it to work. NUCIG REPLY> So sorry for the the problems. Although manufactured to the highest standards, sometimes faults can occur. All faulty or non working items will be replaced. Please raise a ticket with support@nucig.co.uk so we can take the next step. I use this at home, the car, caravan and the office. works really well and means that I can keep my regular batterys for when I am out and about. 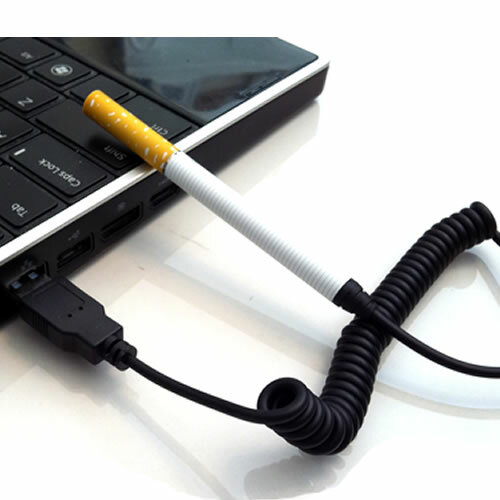 All you do is plug into any usb power port and vape away continously without any charging. Would recommend to all nucig users.